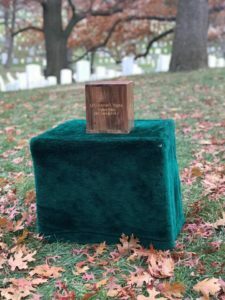 On December 6, 2017, my father’s ashes found their final resting place in Arlington National Cemetery. 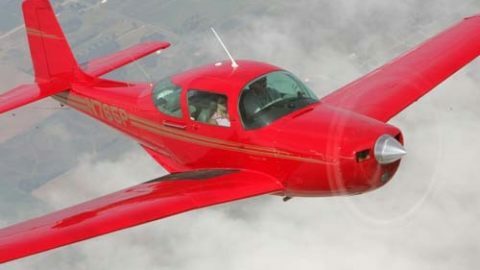 Joining, was my family: Margaret, Elizabeth, Becci & Dan, and Megan & Dan, Meyers aircraft owners: Marv Rogge, Bob Matlock, Nelson and Mindy Harding, John Secord, Kent Aitchison, and my friends from Nvidia: Gareth Hughes and Sam Payne. Everyone arrived the night before and were all up bright and early to make the transportation to Arlington by 9am. As part of of our Arlington briefing at the visitor’s center we were told if we encountered another service in progress, our procession would wait for it to pass. The van left the center and headed quietly through the fields of stone up towards Lee’s Mansion. Upon cresting a hill, we slowed to a stop. Ahead of us was a Caisson attached to a four-horse team — perfectly matched and groomed to perfection. Also in attendance, were several formations of soldiers (20+) with M1 rifles at their side all standing at attention. Next to them was the US Air Force band dressed in dress blues as well. I imagined we were pausing for another service and at this point, our guide approached the van we were all riding in and asked us to exit. It suddenly dawned on me this was the detail honoring my father! John Secord who himself himself had served in Arlington rendering honors to many who had passed while serving on the US Army’s Presidential Salute Battery, had tried to prepare me for the solemnity and honor of the service, but up to this point, it hadn’t really sunk in. 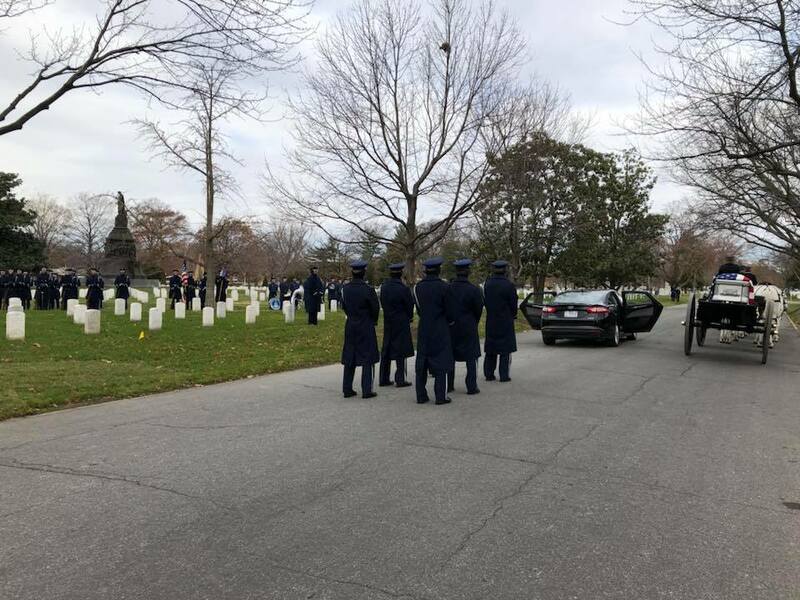 Once standing to the rear of the Caisson, two men approached the service car to retrieve a flag and the urn; slowly, methodically, silent, and precise. They returned with the urn and the flag which was then carefully placed in the Caisson. A soldier dressed the flag around the coffin, pulling the flag tight before marching back to his station. Soon the command was given to make the solemn march to the grave site. While described as walking, I would probably classify it more as a brisk walk. Following behind the procession, I found myself looking out across row upon row, spreading out across the hills of Arlington, the stones which marked the final resting places of those that had come before my father. In that moment I realized what might have been obvious to others: the service was in his memory. 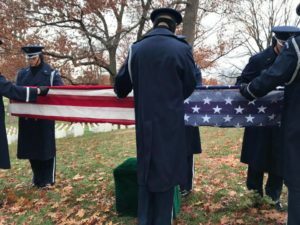 The magnitude of which the reverence and precision of these men, were not only a memorial to my father, but to every other man and woman who were resting here. We were quickly at the grave site for the service. My father’s site is in a small valley just behind the Lee Mansion and to the south of the Tomb of the Unknown Solider. Due to the steep embankment leading down to the site, we instead positioned ten to twenty yards above his final resting place. Although chairs were setup for the service, I couldn’t bring myself to sit down. I felt a sense of guidance from my father urging me to stand; not only for him, but for all the fallen. As the service commenced, the Chaplin began to review moments from my father’s life. I looked out across the fields, gritting my teeth, and holding it all in. I then a felt a gentle tap on my shoulder. It was John Secord, who whispered as he pointed “don’t be startled by the firing party located next to the grave site further down in the valley”. From that point, I focused on those men. I focused on their stillness. When the time came, the voice of the detail Commander echoed in the valley as he giving the firing detail their orders. They moved with swift and perfect synchronization, arming and raising their guns. I waited for the report; steeling myself for the crack of the rifles. When it came, I shuddered. The sound of the guns reverberated throughout the grounds. After the flag had been folded with care and presented to my sister Margi, the group walked to the grave-site. It is a beautiful location on a hillside. My father will share the site with one of my sisters who was interred here as an infant in the 1960’s. The rest of journey had our group enjoying a few restaurants, probably over indulging, and overall having a good time. For me the highlight came during a visit to the Air and Space Museum. 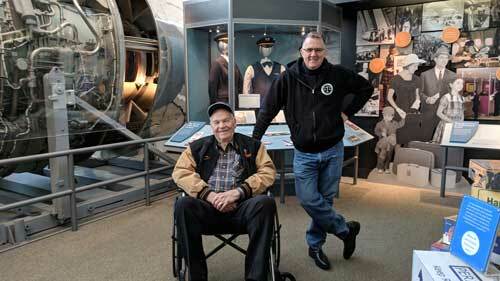 We headed toward the section of the museum dedicated to military aviation. As we walked up, Marv was casually chatting about the aircraft carrier on which he’d served. Then upon walking turning a corner, Marv was delighted to see a photograph of that carrier. He pointed out a few details and related a few interesting stories before we turned to leave. We hadn’t realized a few folks had gathered round to hear those stories with us. They were delighted, reaching out to shake his hand and thank him for his service. It was a touching moment. 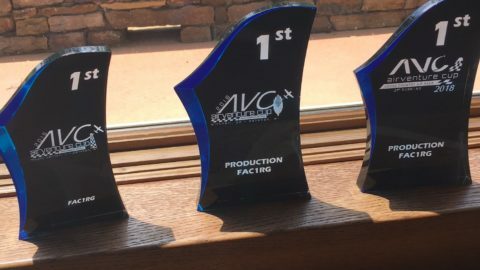 All in all, it was a great trip, despite the fact I was in charge of some of the planning, everything seemed to go off without a hitch (thanks again go to John Secord).